Learning a language is a process. A very long, ongoing process. There are ups and downs and it’s been anything but linear for me. Even though I’ve lived in France for about 5-1/2 years now, I don’t speak French perfectly. For anyone who has studied a foreign language, that won’t come as a shock. You don’t just pick up a language to the point of perfection by osmosis simply by being in one of the countries where it’s spoken. What has happened is I’ve majorly improved and speak at an advanced level at this point. But I still learn something new daily. So much of how you progress is within your control and you can make major improvements no matter your current level. I’ve increased my vocabulary and over time have become so much more confident when speaking to new people. I’ve majorly improved my comprehension, which was one of the most difficult things for me when I first arrived. But then there’s the other side of the spectrum. 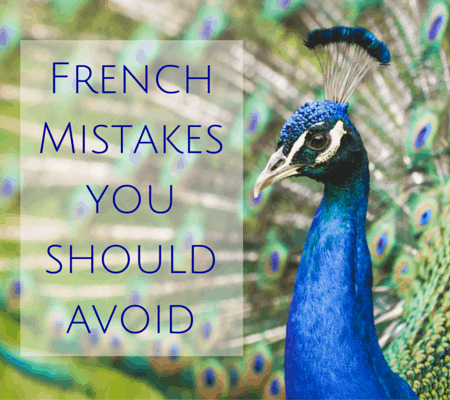 This post is the one where I tell all about the 5 things that still give me major difficulty in French. If you’re new here, I’ve lived in France for about 5 1/2 years. I studied basic French in high school and then picked it up again several years later at the Alliance Francaise just for fun. 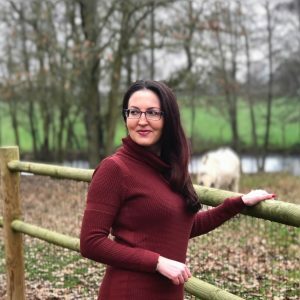 I was at an intermediate level when I first moved to France to teach English as a language assistant outside of Paris. You can read more about my story here. So many factors play into how well you’ll pick up a language and one of the most important is your level of motivation. You get out what you put in, as with most things in life. Let’s go back in time for a second. Before moving here, I was under the impression that within a year I’d pretty much speak like my native French speaker husband Tom, or pretty close to it, just with an accent. Ohhhhh, how wrong I was. Now I laugh at how naive that line of thinking was. I don’t think I’ll ever get to a near-native level, if we’re being honest, but I still have hope that I can get pretty close with some major effort and motivation. Sometimes I feel that being good enough is enough. Other times I get mad at my lack of motivation. Time to get real, guys. Here’s some inside scoop about me. I have a habit of trying to be a perfectionist (although I’ve majorly simmered down on that front in the past couple of years). I wanted to be REALLY FRICKIN’ GOOD at French and once I realized I would never be “perfect,” I’d cycle through periods of not even wanting to try to improve since it all wasn’t going to my silly “let’s be perfect” plan. My plan was ridiculous because being perfect changes nothing. Tom speaks ridiculously good English — I think he’s perfect — but from time to time, he says something kind of strange or mispronounces a word or doesn’t know a word. It’s normal. In my mind, he speaks “perfect English” so why the heck was I so hard on myself? I’ve let go of most of my perfectionist tendencies in French because they were crippling me, but I still tend to be hard on myself. I tend to exaggerate about how bad I am at things when really it’s not the case. After 5 years, I speak at an advanced level, and while I make mistakes, I have no problem talking to anyone about pretty much anything. If I really put my head down and studied French daily, I’m sure I could clean up a lot of the stupid mistakes I make. Sounds like a good plan… Sometimes I really regret studying Irish in college. DOH! Learning a language is harder than you think, and these days, I’ve finally learned to give myself grace. What’s the point of beating yourself up all the time? It won’t help anything. One of the mistakes I made when I first got here was that I tried to save face a lot. I’d as Tom to be the one to make tricky phone calls. I’d have him speak for me. No one wants to come across as stupid, but some people are more chill about looking like a fool publicly. My refusal to just jump in head first did nothing to help my French. I realized I’d need to just stop caring about the mistakes and push forward. I used to feel more embarrassed when I’d make mistakes in French, but now I just let it roll off my back because it’s a fact of life as a foreigner living in France. Even if I do you speak French at an advanced level, mistakes are normal. It’s No Big Deal. 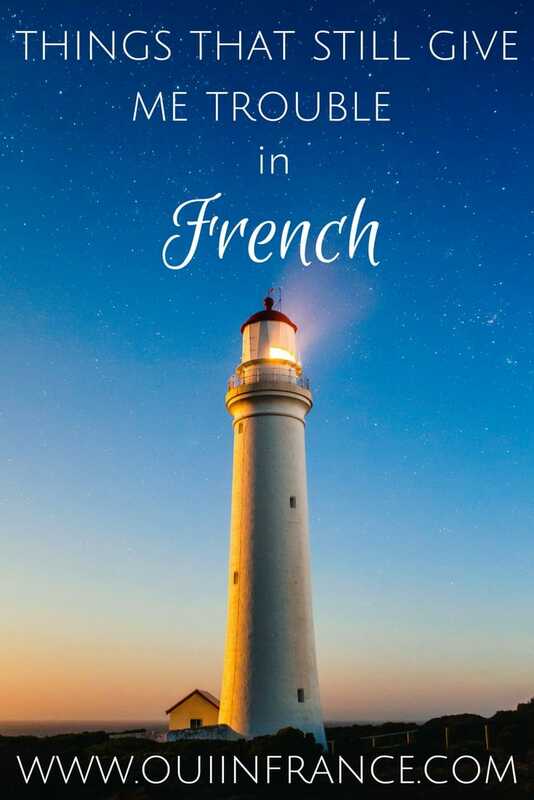 If you’re planning on spending a significant amount of time in France or even living here, start learning French now. That’s the best advice I can give you. Do whatever you can to motivate yourself and get practice speaking. It is not possible to live here comfortably and integrate without at least an intermediate level of French. That bears repeating. Another fact? Your age and current level do not matter. Anyone can make serious progress. I highly recommend Lingoda for learning French and wrote about it here. As a native English speaker, my default is to form sentences the way I would in English. Even if I’m speaking in French, some very English sounding sentences pop out of my mouth now and then. Most of the time, it’s totally fine and doesn’t affect comprehension. But is it the most natural? Not always. Let me give you an example. If I wanted to express something like “he has to come to the party” I might literally say he has to come to the party il doit venir à la fête. In French, you can say it like that but there’s an equally natural way to express the same thing (some might argue it’s even more natural), which would be “Il faut qu’il vienne.” So literally “it’s necessary that he come.” This uses the subjunctive of the verb venir (to come). I know the subjunctive. It’s just that in the moment, my brain defaults to the sentence construction that I’ve known my whole life — English. To say “it’s necessary” sounds way more formal and serious to me. Do any of you out there have another example of where your default is to phrase something as more of a literal English translation when another type of sentence construction might be more natural? Would love to hear in the comments! By no means do you need to know every word in the dictionary, but it’s easy to feel at a loss when a French conversation turns to something specific and uses very detailed vocabulary. Then in other instances, I’ll know totally random words and not the simplest ones (or am at a loss in the moment to remember them). For example, we just spent a weekend in the Charente-Maritime and I learned all types of words in the context of marshland and marine biology. I’ll probably never need them again, but they’re good to know. Words like une digue (seawall) and un byssus (special filaments a mussel uses to attach to a solid surface). When conversations get specific and I realize I don’t have the vocabulary I need to accurately express something, my first response is to mentally chuckle to myself. 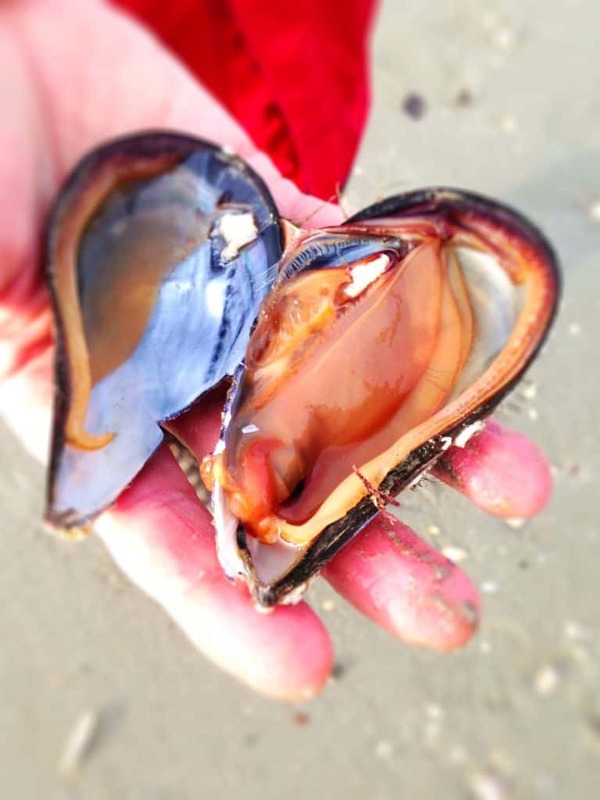 Sometimes I don’t know everyday words but I sure know how to say the completely useless byssus or veterinary terms and could accurately tell you about how a mussel digests plankton. I don’t send anything official without having Tom look at it. It seems that cover letters and all official letters need to be written in a way that seems kind of patronizing. The level of formality just seems over the top to my American sensibilities. Take, for example, the way you’d say “yours sincerely” when closing a letter. In French, you’d say “Je vous prie de croire, Monsieur/Madame, à l’assurance de ma consideration distinguée…” which sounds a little silly to me. Distinguished esteem, what? Who are we writing to, the president??? Bahahahaha. There are a whole lot of words to basically say the meter man is coming. That was just part of the first paragraph. Waste of paper maybe? If I got a letter phrased like that in the US, I’d think my neighbor was pranking me. So my no fluff, to-the-point emails need Tom (every single time) to French them up a bit. Do you have any mental blocks? You know, when you have studied something a bunch of times and feel like you have a handle on it just to forget what you learned a few weeks later? For me, there are a bunch of things in French that I know but still mess up. Enter the translation of the English word “for.” It’s not so easy! Sometimes it’s super clear when to use pendant/depuis/pour, but other times, it’s a total crap shoot. Yes depuis can mean since but it can also translate as “for.” J’habite en France depuis 2012. I’ve lived/been living in France since 2012. Good, that usage is one I never mess up. J’ai habité en France pendant 5 ans. I lived in France for 5 years. Good. J’habite en France depuis 5 ans. I’ve lived/been living in France for 5 years. This is the one I mess up half the time because our friend depuis can also translate as for! You may have noticed this same issue in reverse with French speakers who mistakenly say “since” in English where they mean “for” and say something like “I’ve lived in the USA since 2 years.” No matter how many times I ask Tom to clarify, I’ll still mess this up about half the time and it’s usually a mistake with pendant. Another example. He’s out of the office for the day / Il est absent du bureau pour la journée. Pour is usually pretty straightforward. It’s no big deal because the person you’re talking to will understand what you mean, but dang, I think it’s time I consistently get this one right! If anyone out there has a good trick or tip on how to keep these straight, I’m all ears! Even in English, certain TV shows or movies get crazy technical, so imagine how Criminal Minds‘ vocab would sound in French to someone who has no clue about things like psychological profiling and crime scene terms in French. When a plot gets too complicated for my liking, I’m embarrassed to say I turn it off after about 10 minutes. That also goes for anything with a ton of slang or talk shows where several people talk over each other at lightning speed. It’s just frustrating to sit there not really understanding what’s going on. Trust me, I’m sure it would do me a world of good to just push through it, but when you’re not understanding something, it’s hard to want to continue what feels like a waste of time. I’m working on it though. 😉 To make me feel better, Tom says that even at his level in English, he still doesn’t understand 100% of every show or movie he watches — but I don’t believe him! 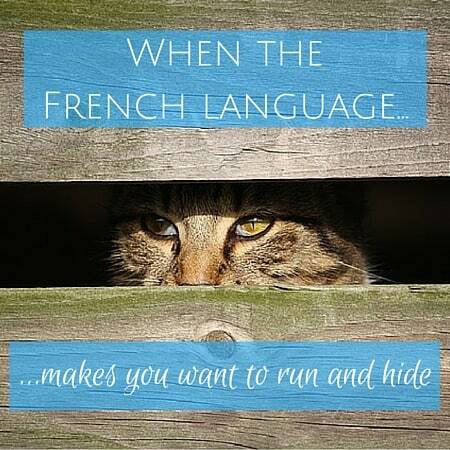 What gives you trouble in French or another foreign language? I’d love to hear from my French readers about what they find difficult in English! Hey I feel your pain Diane! I try to avoid the subjunctive in speech because I can never remember all the verb endings. I know it has to be used with Il faut que and a load of other stuff that escapes me just now. Need to put in more hours for sure. Depuis/pendant/pour is tricky but the rule of thumb is if the action is still continuing (You’ve been living in France for 5 years) it is Depuis….according to my prof anyway. If the action is finished it’s pendant, but try remembering that after a bottle of Crèmant! If I have to say something a little more complex I always start by telling them I don’t speak French very well and then carry on. Yesterday I ordered a shed and arranged delivery at the brico in this way. When the transaction was completed the vendeur said to me…. mais vous parlez français très bien Madame? I walked out feeling a little taller. Have a wonderful week too!! So yeah, that wall of text was just to say that politeness is serious business in French language! A mistake in grammar or vocabulary won’t bother me, but sounding arrogant is a no-no. Hi Aurore, great to see you here in the comments. When I saw your name, I started laughing because I could have added a #6 to my list of things that give me trouble: “Saying the French first name Aurore.” Hahah, such a beautiful name but it’s horreur for me or a very stunted Au-rore if I concentrate. You bring up a good point about one’s tone. Even if grammar is OK, the exact words and attitude (body language, facial expression, etc.) can influence one’s perception of another person. Even if someone is a true beginner in French but they’re charming and make an effort, they may be perceived as more friendly or sweet than someone who speaks at a higher level but comes across as super pretentious. No matter what language we speak, being self aware is really important, as your story illustrated. I wonder if the Greek woman would come across the same way in Greek or if it was a handicap of hers in the French language? Was her word choice/phrasing/tone the problem or more the subject matter and body language of how she said things? It’s unfortunate because I’m sure she has no clue how she’s coming across! Well, you’re the only Aurore I know and luckily I can get away with just typing it! That’s really unfortunate about the Greek woman. I’m sure she’s exactly the same in Greek. Her conversation topics seem a little weird, especially since she had never met you before. Hope she sees the light of day sooner rather than later! “…Opposite problem FROM you,” would come most naturally to me. This is one of those sticky situations which is difficult to have a hard and fast rule for, and it is the subject of many an internet debate. Are you American, Dave? Could be regional too. I don’t think there’s one hard and fast rule exactly. Aurore, if little issues like that are the only things that give you trouble, you’re already at an amazing level of English! 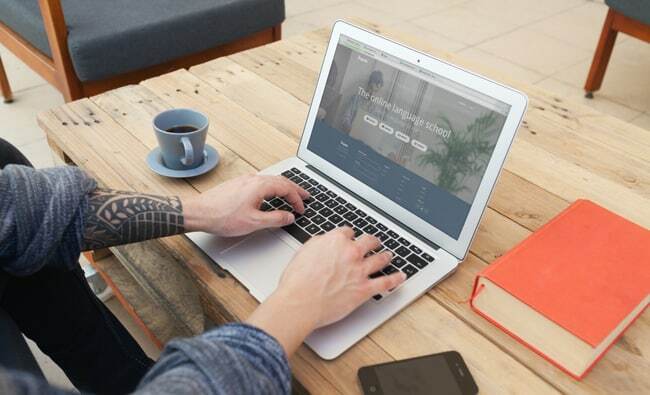 Hey there I’m an avid reader of your blog! I first came across it when I started learning French (back in 2014) and I’ve stuck to it (as well as my French lessons). My school’s French is an intensive one – sort of so right now after 2 years we are deemed to be around B1-B2 level but of course that’s for grammar. Anyway, regarding your “depuis/pendant/pour”, I too had troubles with that initially especially as our professor told us that all 3 could mean “for” In English. Instead he taught us these meanings that sort of stuck with me – so now it’s way better in that I don’t jumble them up as much anymore. Pendant – indicates a period, a complete duration “je suis resté pendant 3 semaines”. thanks once again for your blog posts! I enjoy reading them and I totally agree on the formality issue, I remember coming across it when I was learning French also and was confused by this whole formality and being overtly-polite. A little digging round, and I found out the standard closing formule does have an equivalent counterpart but only when a head of state writes to another head of state. Hello, Hpone, happy to have you here! Thank you for the tips for pendant/depuis. Very useful! I think people have explained that to me over the years but for some reason it never sticks 100%. I don’t do as much writing or reading as I should, so my opportunity for using them is in real-time conversation, where you don’t have time to pause mid-sentence and think about the rule, so I just pick one. Hehe. Oh well, I’ll have to practice. You totally can, Jo-Anne! We all started from knowing nothing. Baby steps!! I struggle with keeping conjugations straight: imparfait, conditional, and present and past subjunctive use two sets of roots and two sets of endings, mixed four different ways. It makes my brain melt. I speak and read French fairly fluently, but one area that always gives me pause is the use of the correct preposition. Is my apartment en, dans or a’ L’Isle St. Louis? That kind of thing. It happens in all languages, because idioms don’t match neatly. Yep, that’s a great one as well, Frederick. Like we say in English how much money is in your account and the French say how much money is sur votre compte, literally on. The subjunctive is the bane of my French existence. I’m fine with “il faut que” but trying to remember which phrases ending in “que” require it and which ones that don’t is a whole other story. “You use it when you’re expressing a desire for something, like ‘je veux que’ or ‘je souhaite que'”, teachers will tell you–but then how do you explain why “j’espère que” doesn’t require the subjunctive?! So many rules and so many exceptions! Hi Darlene! Yes, the subjunctive is a real pain, but as you said, even French people mess it up or aren’t 100% sure if a certain phrase takes the subjunctive or not. So that makes me feel a little better! Also, it’s so true what you said about translation. My husband is not a pro translator, but he had to correct a “pro translation” of my CV which was a nightmare for the reasons you stated. He must have spent 5 hours fixing everything and it was phenomenal when he was done, but not easy work at all. Another thing I hear French people say is to translate something like “le chien de Diane” as “the dog of Diane,” which is fine, but we’d just say Diane’s dog. These are subtle differences but they make all the difference when it comes to sounding natural. Sometimes typos slip through — was a 2400-word post. Appreciate your eagle eye. Will update! l’oeil d’un aigle. And now I can add what I should have included previously. I’m glad I found your blog. Fascinating. Thanks, happy to have you here! Hi! What an interesting article. I moved to france when I was 24 (23 years ago). I didn’t speak French but had some school French. I got to a level where I could communicate quite quickly but was probably a B1-2 level for quite awhile. I found that it evolved in plateaux. I’d go up, stay at a level forever, think I’d NEVER improve and then realize I was moving up again. 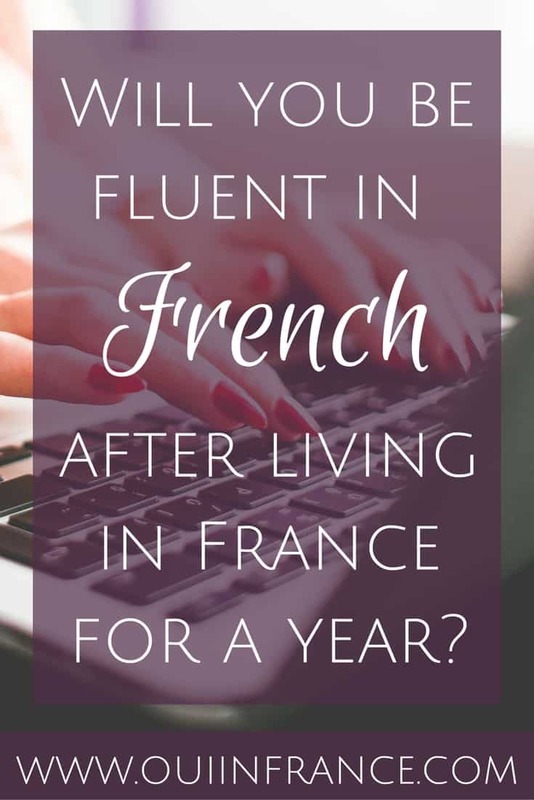 It took me 8 years to speak fluent French! That’s a long time! I laughed when you wrote about the formel letters. That is one thing that really bugs me. It is so ridiculous. I do it when I have to, but if I can get away with Cordialement, I skip the formal ending. The subjunctive is interesting because if you listen to French native speakers, even they mess it up sometimes. Many think that any verb following “que” takes the subjunctive but it is much more complicated. I felt reassured when I’d listen to natives, because they actually made a lot of mistakes. A few things that bug me these days are the way people use “qu’est ce que” instead of “ce que”, “que” instead of “dont” and pronounce “croient” like it ends in y.
French is such a beautiful language and is so fun and interesting to study. Once you get to a certain level, it’s living the language, reading, watching movies, etc that develop your vocabulary and help your brain to recognize when a sentence structure is correct. I’ve found that I often know if something is right just by recognition. That takes a long time to learn. We have been living in Spain for a year for my husband’s work and I had to start learning Spanish. I had ZERO Spanish arriving. It’s been interesting starting over in a language. And very frustrating! Good for the brain, though! Yup, I’ve talked about that plateau where you get to a level that’s at first “good” and then after a little while, “good enough” and then a few years later “really good” but with a bunch of mistakes still. It’s a process for sure! Yes, the formality still makes me laugh but I should try to keep it under control — don’t want to insult anyone with my commentary. The thing that gets me is seeing people write “SMS speak French” on forums and on FB. Looks more like Creole ( i worked with a few people from Haiti and the SMS French reminded me of that). Like ke or something for que or ki for qui and just strange letters. Can’t think of a good example right now. I guess we do that in English too but when it’s not your language, it can throw you off! I couldn’t imagine adding in another language! Ahhh how do you keep them all straight? Its quite natural that wherever go your mother language be come first by default. This also happen to me when i was in Japan. Thank you for teaching me what a byssus is! I plan to use it to impress all the French people around me, hahaha. PS I am cracking up at your description of French written formality!!! Sooooo true! One note about the byssus. I did some research and think it’s a very specialized term that exists in English as well that only marine biologist types will know. But it’s a good word for a party! Fluency in any language, no matter where you live, is hard work and it’s so true about there being many shades of fluency. As long as we can argue, we’re good! I completely agree in regards to an intermediate level being necessary to really integrate. When I first came over, I had used Duolingo a little, but beyond ordering food and navigating public transportation, I was hopeless. I finished a good portion of the tree and had 15 hours of tutoring when I moved here. If it weren’t for co-workers who were willing to help me with nearly everything upon my arrival, I would have been in serious trouble. And my current friends were French people strongly interested in speaking English better. I’ve had almost 40 hours of tutoring now over 3 months and test A2 in some areas, B1 in others. Being B1 (intermediate) in reading vs. A2 in listening makes a HUGE difference.